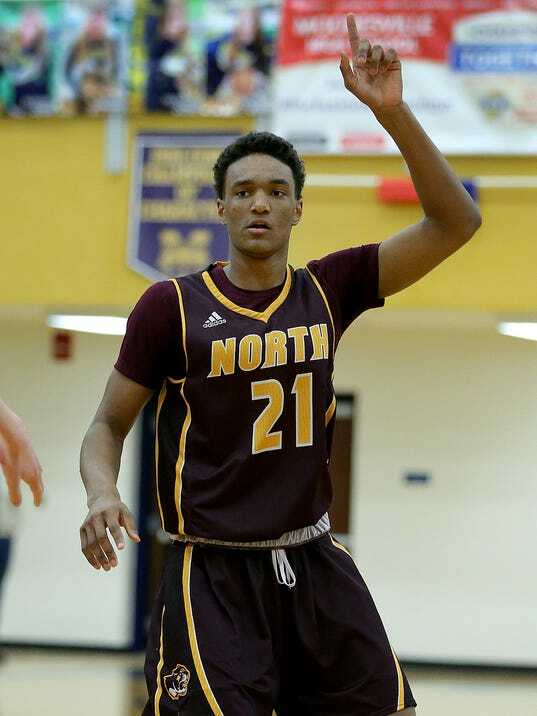 Ohio State recently offered and Wisconsin has been in to watch him play...the Purdue staff has also been in contact and he is also interested in Oregon, Virginia, Butler and Stanford...hasn't head from the IU staff since they saw him at the end of April. According to the owner of 270Hoops, there was mutual interest between Mu and Butler..He is a very athletic wing player.. I thought that when I listened to the podcast with the guy from 270hoops he said to watch out for this recruit and that was probably the reason for the "Bump". I would not be surprised to see something happen here. MARVYMARV14 and OSU_Buckguy like this. Saying what I have said above I would not want to leave Goodwin out of this class and I hope that a commitment from Musa would not do that. They are completely different players (Goodwin is all skill and shooting, Jallow is strength and athleticism), and I think Jallow would probably spend more time as the 3-guard while Goodwin would be more at the 2. Supposedly IU has "lost interest" (if you believe Twitter) and the last two predictions have been in favor of OSU. One of those predictions was Jerry Meyer. very loosely speaking, musa jallow is david lighty to dane goodwin's daequan cook. "Even if your shot's not going in, you can always have a good night defensively," says Jallow. "No matter what, play hard on defense, and that's pretty much your main focus. If I see someone going up, and I can time it right, I'm gonna block it." Bestbuck36, leroyjenkins, LitlBuck and 3 others like this. Defense is important, and OSU needs bodies right now. That being said, I would choose Jerome Hunter over Musa no doubt if I had the choice. i, too, would choose hunter over jallow, but i sure as heck wouldn't deny a jallow commitment right now because of the perhaps maybe possible commitment of hunter later. fortunately, both players aren't like pure point guards or true centers. they're wings with different attributes. to be sure, jallow to osu should be no more of a threat to hunter than, say, johns and currie ('18 reclass) if he's considering ttun. by the by, if hunter does go to ttun, beilein's '18 class would have two players from central ohio. currie played at worthington christian before transferring to clarkson, michigan. that gets a bit painful when also considering burke and levert. ttun with successful ohio players is one thing. ttun with successful columbus-area players is quite another. Gotta imagine Holtmann and crew will be getting some good news tonight. OSU_Buckguy, LitlBuck, starBUCKS and 1 other person like this. OSU_Buckguy, LitlBuck and starBUCKS like this.